The history of the clarinet can be traced back to the chalumeau, a medieval instrument that was occasionally included in orchestras up to the 17th century. 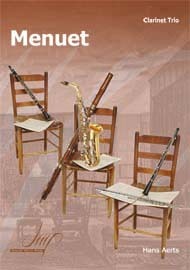 It took various instrument makers to develop the chalumeau into the modern instruments we call the clarinet family today. 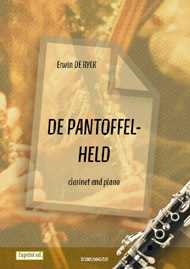 Johann Denner, a German, is credited with the ‘invention’ of the clarinet by improving the chalumeau in the early 18th century. He added two keys, and increased its range by developing the upper register. By the middle of the 18th century, the clarinet had taken on the basic shape it has today, but the clarinet keys continued to develop, and by the first decades of the 19th century clarinets were being made with 12 or 13 keys. The big development in the history of clarinet keywork came about in 1839, with the adaptation of the Boehm system of flute keywork to the clarinet by Hyacinthe Klose and August Buffet. This new system was a major innovation as it placed the holes on the instrument for better acoustics. Previously the holes had usually been placed simple to fit the average hand. There was now much greater stability in tone and tuning when playing clarinet, leading to greater acceptance by composers and orchestras. The last woodwind instrument to be regularly included in a symphony orchestra (in the second half of the 19th century) the clarinet has also played a major part in military, concert band and jazz ensembles. 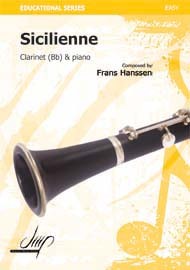 Only the B flat member of the clarinet family is commonly used today, though the bass version is often included in orchestral and jazz ensembles.